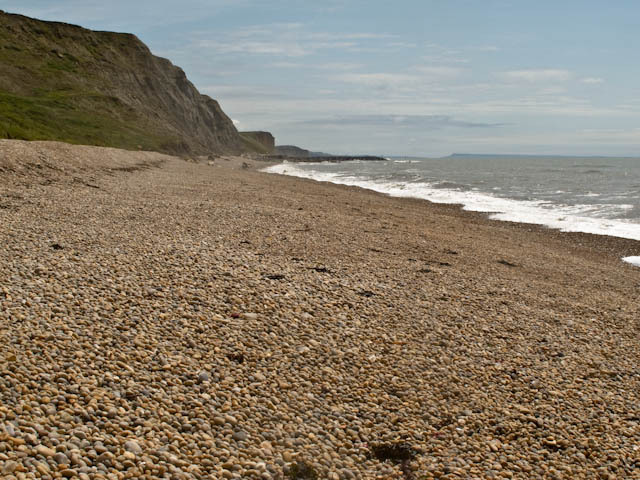 It seemed a good idea to take a walk along the beach at Eype, towards the Western End of Chesil Beach. Lots of deep stones. Tricky. Even more tricky to climb back up a steep shelf!